Any company that spends money trying to improve a product or service or even a process through a technological advance where there’s doubt about the project’s success is likely to be eligible. There’s a real good chance it is, and frankly HMRC are desperate for SMEs like you to claim the tax relief, regardless of the sector you operate in. Some research suggests the largest number of claimants are in construction, and not high tech companies as you might expect. I personally know of landscape gardners, web companies and very small manufacturers who have been successful in getting actual cash back from the tax man… and they did it all themselves. If you’ve spent money on R&D costs such as wages, raw materials & software then you can deduct up to 225% of these costs from your taxable profits. You can go back up to 3 years, and if that means you’ve overpaid tax then HMRC will send you a cheque. And they send that cheque real quick. Your accountant should be able to do it for you… but often they won’t, and frankly some don’t know how. Just some of the things accountants have told companies I know… so I told those companies to call HMRC directly and do it themselves… and they were all successful in getting the reliefs… without their accountant’s help… or fees. A word on consultants & what will they cost? There are some very good ‘no gain, no pain’ consultancy firms who will help you claim the tax relief. That means no payment unless they get you some tax money back. Have a poke around the HMRC website. See if you roughly match the basic criteria. Then give them a call. They really are very friendly and helpful … at least when it comes to R&D tax reliefs! Technology : Does my company attempt to develop new technology, with no guarantee of success? Improvement : Does my company try to make objective, measurable, and significant improvements to the design and implementation of its products, services or processes? Problem solving : Does my company use appropriately qualified or experienced internal staff to solve a challenging technical problem (although you can use sub-contractor for parts of the project)? 1 What is the scientific or technological advance? 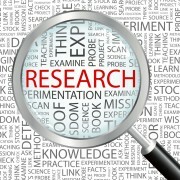 2 What were the scientific or technological uncertainties involved in the project? 3 How and when were the uncertainties actually overcome? 4 Why was the knowledge being sought not readily deducible by a competent professional? So why are so few of you bothering to get accredited when most of you “can be accredited straight away” … ? You are entitled to use the Living Wage Employer mark. You receive Living Wage merchandise including a mug, tote bag, pen and badge. You can claim your Living Wage Employer plaque. You appear on our website, which we are developing into a searchable tool so that consumers, prospective employees, students and grant makers can easily see who pays the Living Wage. You become part of a strategic network of employers that support and promote the Living Wage. You have the opportunity to work with us on press coverage to promote your accreditation. 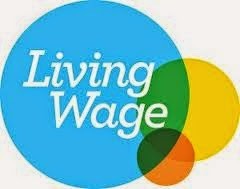 You will receive an invitation to events during Living Wage Week. You will receive a Living Wage Week pack with materials and guidance on how to be part of the national celebrations. So… the first round of SME grants have been awarded… worth the hassle? The SME Instrument offers a 50,000 Euro cash grant for a feasibility study into an innovative project. Good news for them… 50,000 Euros in cash… almost no strings (and the 30% ‘funding’ the company themselves has to chuck in can be ‘in kind’ = their time..). They also get themselves onto the inside track for further (much chunkier) funding opportunities as the project develops. … so what’s to be done? So how do you be the best..? Well… you can be the best… or be the best prepared… ? A third wouldn’t borrow money – even if they were paid to ? And it’s a problem for Westminster too… keen to squeeze finance into SMEs to ramp up growth into the next election cycle. So what’s going on? Why won’t an increasing number of you borrow? profits are up and being retained thus reducing the need for external funding? the bunker mentality of the recession years is proving hard to shake off? the numerous finance scandals (global & local) have shaken already shakey trust? the pace of expected growth is too slow to warrant any major funding change? 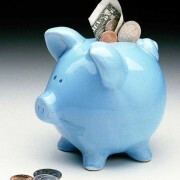 traditional funding processes are too demanding, too slow, too painful? as businesses recover is there less need for non-growth / emergency related funding? are you avoiding anachronistic Personal Guarantees? or are you all too busy playing the property / buy-to-let boom & would rather borrow privately for that than borrow to invest in your trading companies? Take an alternative funding source that is now going mainstream… peer to peer crowd funding (Funding Circle, Rebuilding Society)… only 17% had heard of it… yet given the flexibility, speed & all round user-friendliness of these funders I can’ t help but think that if that number were higher… the number of Permanent Non-Borrowers may well be lower.